As natural gas becomes more available and accessible, commercial and industrial enterprises are evaluating whether to convert their operations from propane to liquefied natural gas (LNG) fuel. The benefits of using natural gas are clear: It is an abundant natural resource that burns more cleanly than other fuels. And it can be chilled and transported as liquefied natural gas (LNG) in ISO tanks throughout the U.S., Caribbean abdCentral America in ISO tanks for convenient delivery and installation. 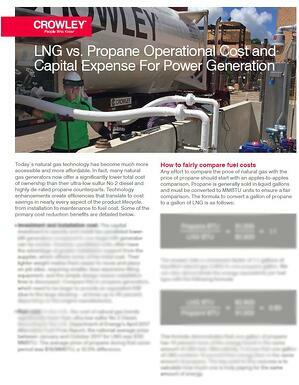 Yet how do the costs of LNG stack up to those of propane? Any attempt to compare the operational costs and capital expenses of propane and natural gas should be done fairly and with all factors considered. Historical and present-day pricing of both fuel types and more. 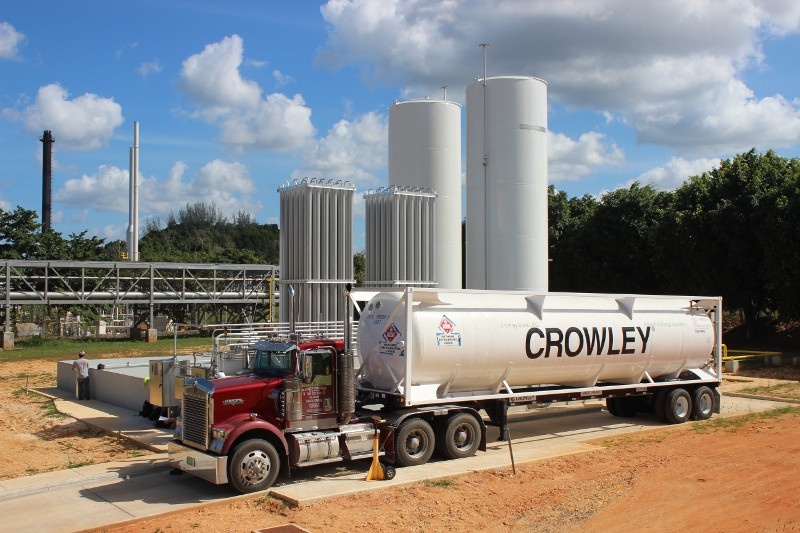 Prefer to contact Crowley's LNG team directly? No problem. Simply call (904) 727-4258 or email LNG@crowley.com. We look forward to serving your LNG needs.